In The NYC Public Schools The Problem Is Not Teacher Recruitment But Retention. There appears to be some disagreement whether there is a teacher shortage in New York City. Sure, there is a shortage of ESL, Math, Science, and Special Education teachers, especially in the high poverty communities in the Bronx and Brooklyn. However, in those schools many of these shortages areas are covered by uncertified teachers in that subject and the DOE looks the other way Since its not about what's best for the students. For the rest of the subjects, like English, Foreign Language, Physical Education, Social Studies, and the Arts (Art, Music, Technology) there is no teacher shortage. New York City is a magnet for newly minted teachers from the rest of the country due to higher salaries, a vibrant City lifestyle, and fringe benefits like a pension and health benefits. For example, come June 16th 2018, the minimum teacher salary is $56,711 for a "newbie", with no classroom experience. Compare that to the average starting teacher salary nationwide is $36, 141 and the maximum is $64,820, compared to New York City's $119,565 and you can see that New York City is a mecca for "newbies"..
Of course, 50% of these "newbies: will be leaving the NYC public schools within 5 years and only 33% will ever last long enough to be vested for a pension and even less for retiree health benefits. Moreover, 80% of these "newbies" will leave their hiring school before they achieve tenure. The numbers I have cited was primarily based on Tier IV teachers and before there was a teacher evaluation system, complete with the punitive Danielson rubric. Therefore, I suspect there will be even less Tier VI teachers making it to their 10-year vesting period for a pension and even less for the 15 years for retiree health benefits. The DOE policies encourage the recruitment of "newbie" teachers by their "fair student funding" formula, the teacher excess policy, and their encouragement to hire the most inexpensive teachers for schools. What about the children you say? The DOE cares little about high teacher turnover, an unstable school environment, and large class sizes. 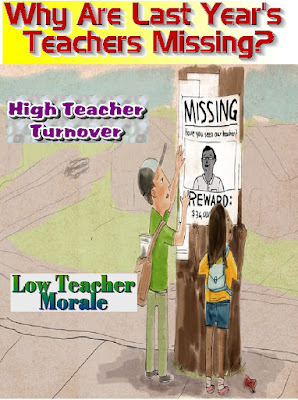 Their policies are not geared to retention but recruitment and its up to the schools to deal with teacher dissatisfaction and in turn, hurts student academic achievement. Add to the retention issue the much weakened student discipline policy and low teacher morale and you have the ingredients for failing schools and a transient teaching staff and a major reason for a school system in chaos. 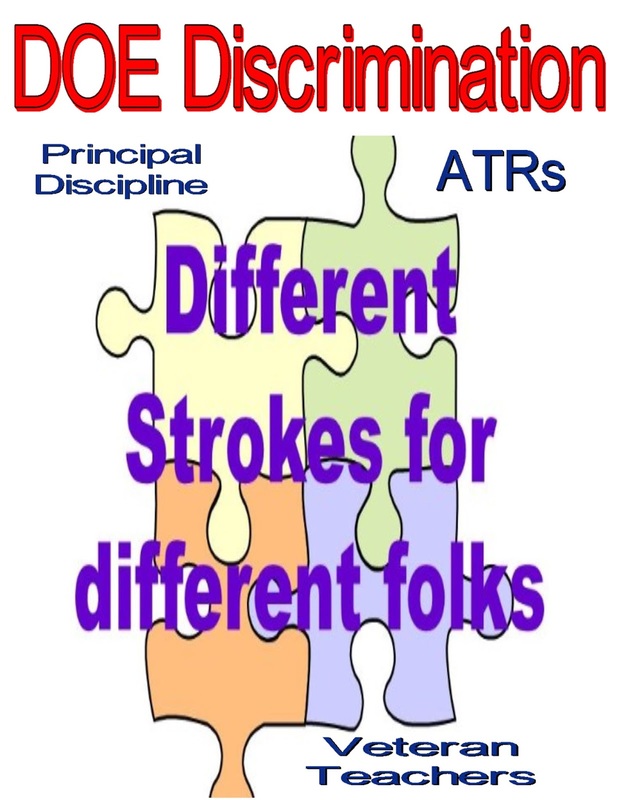 How DOE Policies Discriminates Against Different Employees In The School System. If you are an outsider, the DOE appears to be the guardian for an equal education and equal opportunity. However, when one looks deeper in the DOE policies they see inequality in many of the discriminatory actions of the organization. First, the DOE's policy of "fair student funding" (fsf) discriminates against veteran teachers. Few veteran teachers can change schools since the fsf penalizes schools who hires a veteran teacher due to their relatively high salaries. 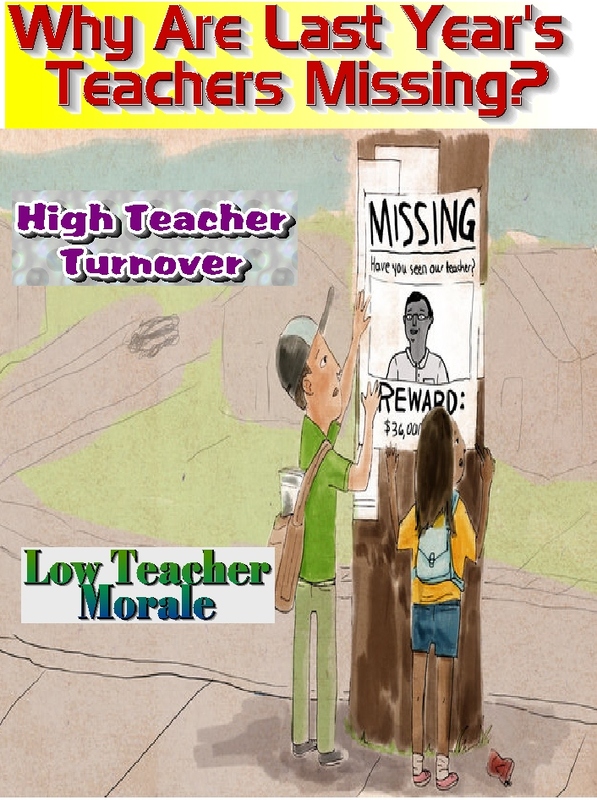 The Open Market Transfer System is a joke for teachers who have ten or more years of experience since all the vacancies go to either "newbie" or untenered teachers, due to their lower salaries. This will only change if school budgets are no longer held accountable for staff salaries. 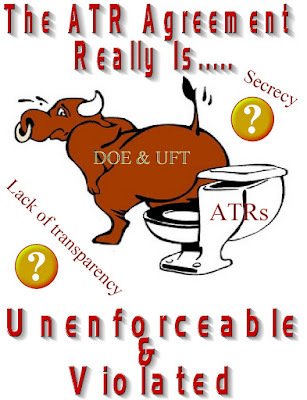 Second, the DOE continuously tries to discriminate against the ATRs. First, they convinced our union to allow schools to hire "newbies" outside the school system instead of excessed teachers. Then they made every effort to demonize the ATRs as lazy or bad teachers. 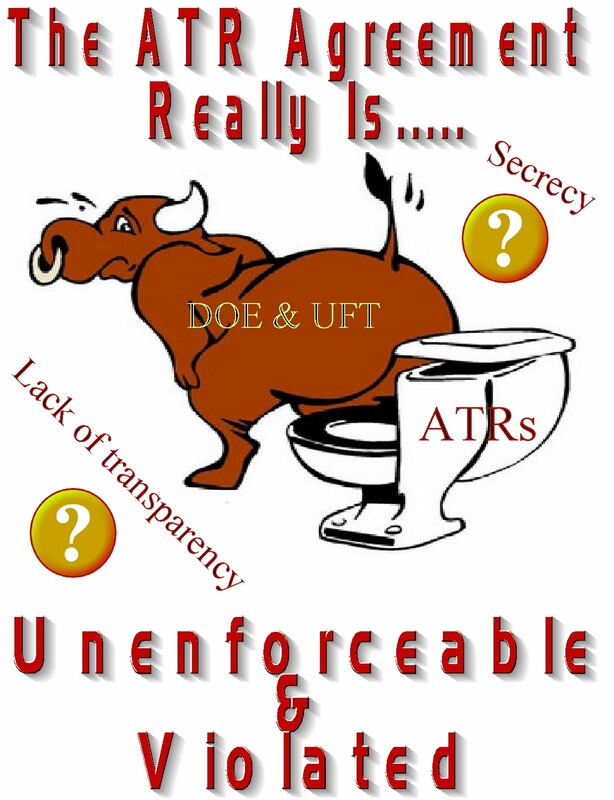 Next, they made ATRs second class citizens in the 2014 contract. Finally, they discourage ATRs from taking per session jobs like Regents grading, or school based activities by not informing ATRs of these opportunities. 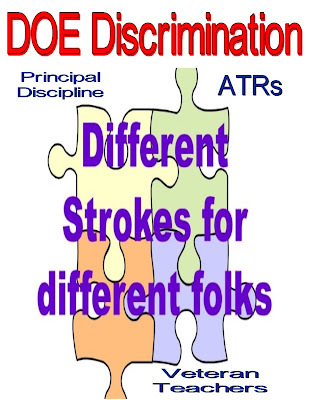 If the ATR won their 3020-a termination hearing, the DOE discriminates against them by not offering them vacancies and discourages principals from hiring them. 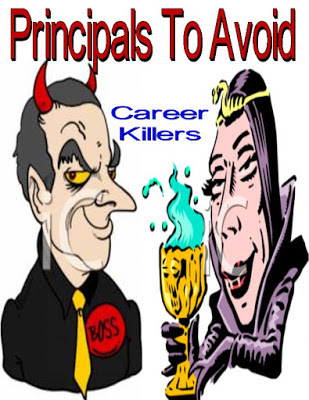 They also put a red flag , known as the "Scarlet Letter" to inform principals not to hire them even when the 3020-a arbitrator found them innocent of the charges!. Third, principals who commit offenses are presumed innocent by the DOE while teachers are removed and presumed guilty. This "double standard" is part of DOE policy and the latest example is the Principal that allegedly was DUI when she crashed her car into a police cruiser but still retains her position as school principal. You can read the story Here. Finally, the DOE discriminates against whistleblowers and will rather file false 3020-a charges against these teachers then take the necessary actions to correct the problem. The CPE1 fiasco is a prime example of this. The DOE continues to discriminate against veteran teachers, ATRs, whistleblowers, and practices a "double standard" when it comes to the removal process between administrators and staff. 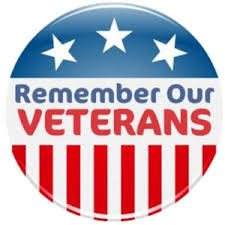 DOE Requires School Attendance On The Veterans Day Holiday Next School Year. Believe it or not, while most of the nation's schools, banks, government institutions, and other businesses will be closed to honor our veterans for their service to protect our country. The DOE has decided to keep New York City schools open on the Veterans Day holiday as an insult to our servicemen and women who served around the world to protect our democratic traditions. The DOE's rationale is that Veterans Day, November 11, 2017, falls on a Saturday and that allows them the right to keep schools open on Friday, despite most everybody else in the country closing up shop on Friday to honor our veterans. To me, this is an insult to our millions of veterans and their families and is decidedly not what America is about. We should honor our veterans, many of them heroes, who put their own personal needs and jobs on hold to wear a uniform to protect our way of life and defend our country from evildoers. Shame on the DOE leadership to ignore our American traditions and require New York City schools to open on a day that many other schools and businesses close to celebrate and honor our veterans. The Problem In Some Of Our High Schools In New York City. Back when I started teaching in the New York City schools, I was told by my Assistant Principal that she was there to support me and have my back. If that met running interference to protect me from over aggressive parents, complaining students, and even the Principal. She was true to her word and as I was learning how to master the art of teaching, I was secure in the knowledge that I had administrative support. Eventually, I acquired tenure and my Assistant Principal would come in once a semester to observe me, forewarning me of her appearance and asking me which class I would like her to observe. She was highly supportive and believed a teacher should have total authority of the classroom and autonomy on how best to teach his or her students. There was no "one-size-fits-all" metric and certainly no punitive Danielson rubric that is used as a weapon against teachers. In the early days of my career, before the Bloomberg and Klein years, it was a real pleasure to be a teacher. Fast forward to the present and we now have administrative micromanagement, a punitive Danielson rubric, tenure based upon political and not educational factors, and weakened tenure protections that force teachers to prove their innocent rather than the DOE having to prove they're guilty of incompetence. Is it any wonder that New York City teachers take anxiety drugs and some even suffer from PSTD, as they struggle through the trials and tribulations of the New York City classroom. While some of the blame can be laid at the feet of the teacher evaluation system, jointly approved by the DOE and UFT and bad school administration that rather foster conflict rather than collaboration. The majority of the blame lies with the student body and their sense of entitlement and lack of responsibility.. In many unscreened high schools students will come to class late, unprepared without a notebook, pen or pencil, and unfocused. These students fail to submit assignments, do poorly on tests and assessments, and act up by disrupting the class. Yet, when a teacher tries to discipline these students, they are immediately attacked by school administration for potential verbal abuse or even corporal punishment. These students can curse and threaten a teacher and suffer no consequence. Moreover, many high school administrators are narrowly focused on the bogus graduation rate and demand that 80% of a teachers roster be passed or be faced with an "ineffective" rating and 3020-a termination charges. 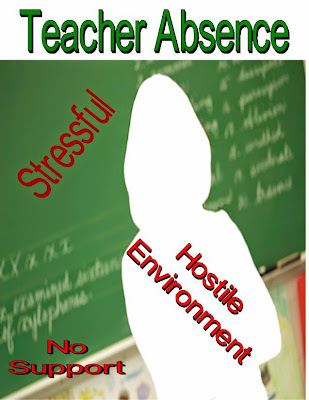 If the teacher is not tenured the pressure to pass failing students is unbearable since they can be discontinued, simply based on a Principal's recommendation. Mayor Bill de Blasio's ill-fated approval of allowing students to have cellphones in the schools have dire educational effects as they provide a distraction to learning, especially in high poverty schools. While schools can still ban cellphones if they choose, like Lehman campus in the Bronx, few do. The result is that teachers are forced to compete with these electronic distractions and the learning process is hurt. Further, student disrespect has never been higher in many of these schools. The students soon realize that the teacher is afraid to discipline them for their misbehavior or lack of responsibility and they realize that there is no real immediate consequences to their actions. 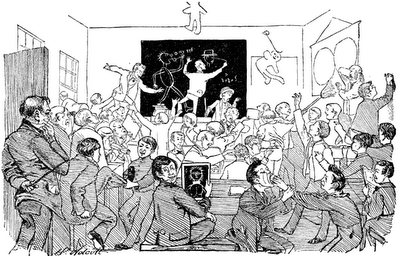 The result is a classroom in chaos and classroom management is just an illusion. These schools suffer from high teacher turnover, unstable educational environment, and students who don't follow the civil rules of our society since they see no immediate consequences for their actions. While zero tolerance may not be the answer, the permissive culture and the restorative justice approaches is not either and until student behaviors change, these schools will remain the dumping ground for struggling students who at best, will end up in low paying, low skilled jobs and at worst in our prison system. Vindictive Principals - We Won The Battle At CPE1 But Not The War. After a long and protracted battle to remove vindictive Principal Monika Garp, the teachers and parents at CPE1 finally forced the DOE to remove the Principal. However, the war against the 399 other principals that should not be running their schools remain. The Farina administration has allowed these poor leaders to remain in charge of their schools and even has empowered them to go after veteran teachers to force them to either retire or file 3020-a termination charges against them. Complicit with the DOE in allowing these vindictive principals to remain in charge is our own union leadership. When teachers and parents rebelled against these vindictive principals and protested, where was our union leadership? Oh, yes, they claim they quietly negotiate with the DOE to solve the issues but yet the vindictive principals remain in charge. In other words, if if I was to take our union leadership at its word, they are ineffective. While some battles are won. CPE1 and Townsend Harris, most are not. Take a look at William Cullen Bryant, the Campus Magnet schools of Arts and Humanities and Math and Science, or Flushing High School to name a few. Poor leadership results in poor school morale and students not achieving their potential academic ability since the unstable educational environment of the school limits that potential. Until there is a real change in the DOE and our union leadership decides to become pro active in protesting and removing vindictive principals, our educational system will remain dysfunctional. Parking Permits - Its Not What It Seems. 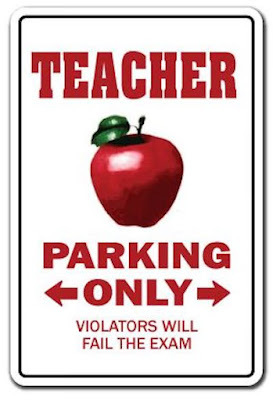 If you read Michael Mulgrew's statement about parking permits, one might think that this is good news as it allows teachers to park on the street in DOE assigned parking spaces. However, you must red carefully about the conditions. The New York Post also discusses it as well. First, before Michael Bloomberg in 2008 restricted teacher parking permits and reduced school assigned DOE parking spaces, UFT members could park in any DOE assigned spaces in the City. 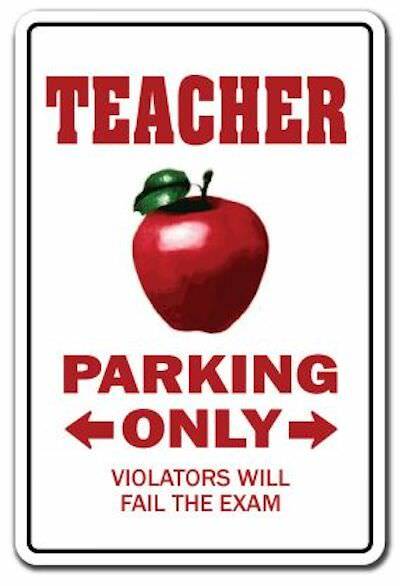 However, now the teacher parking permit is only valid at the school the teacher is assigned to. Not all schools. Second, their are no increase in DOE assigned spaces, meaning its first come, first served. Third, The parking status for ATRs remain unknown. The bottom line is while giving UFT members parking permits is a first step in recovering our pre Bloomberg perks, its really a small step. What The Tenure Numbers Mean? Last week Chalkbeat published the latest tenure figures supplied by the DOE and it showed that 34% did not earn tenure. However, what the data also showed that most of the teachers denied tenure, eventually received tenure the following year. The discontinuance rate remained steady at 2%. The Chalkbeat article along with the tenure graph can be found Here. It needs to be noted that under Bill de Blasio the probationary period is now four years rather than three years during the Bloomberg years. Under Bloomberg, the tenure approval rate ranged from a high of 97% in the 2006-07 school year to a low of 53% in his last year as Mayor in 2012-13. Interestingly, the discontinuance rate has remain relatively steady during the last decade, between 2% and 3%. On the other hand 6% of the teachers who were denied tenure the previous year received it the next year. The data shows that while more teachers earned tenure under Bill de Blasio, the fact that over a third of teachers had to wait an extra year or two shows that the influence of the Bloomberg policies are still in effect as many of the DOE managers are holdovers from the Bloomberg administration and the Chancellor, Carmen Farina, was a Deputy Chancellor under Joel Klein. Of course, the bigger problem is not the recruitment of teachers its the retention as 50% leave the profession within five years. While tenure is a worthy goal, keeping teachers in the NYC classroom should be the real goal. Eric Nadelstern's Delusional Proposal To integrate And Help Struggling Schools. Once again, out pops reformy Eric Nadelstern and how, if only he was Chancellor (Mayor?) of the New York City schools, he would solve the problem of struggling schools and integration. Yes, the very same Eric Nadelstern who told educators that two thirds of the teachers are ineffective. His proposal is to eliminate neighborhood schools and give students free choice to apply to any school in the District. He calls it unzoining. Yes, the very same Eric Nadelstern who was Deputy Chancellor under Joel Klein who gave us the useless and money sucking Children First Networks and Principal Autonomy that resulted in far too many terrible principals running their schools into the ground. It was a memo from Mr. Nadelstern that pressured superintendents to hire newly minted Leadership Academy principals, many of them with limited classroom experience. You can read it Here. Now Chalkbeat has reached out to Mr. Nadelstern and asked him how to best integrate and improve struggling schools His response can be found Here. According to the article, Mr. Nadelstern's proposal by unzoing schools would help integrate schools and even struggling schools (he thinks they should be closed) would benefit with a more diverse student body. However, his proposal does not reflect reality. First, some Districts, like District 7 in the Bronx has a student population that is almost 100% minority and poor There are few middle class and/or White/Asian students to make the student body more diverse. Moreover, parents would not be happy to have their elementary school children being bused across the District to achieve Mr. Nadelstern's dubious goal. Finally, how much more will it cost the City to supply the buses and personnel necessary to transport the children? Mr. Nadelstern's proposal was tried, for the most part, in Atlanta Georgia and it resulted in "white flight" as the middle class, both Black and White, fled to the suburbs and left the Atlanta school system with a minority and poor student body. Further, in New York City, the high schools are unzoned and did it result in a more diverse student body? The answer is no! Many of the unscreened high schools are of one race or another. For example the unscreened high schools in Southeast Queens are 80% or more Black with the rest Hispanic. Interestingly, in the Chalkbeat article Mr. Nadelstern finally admitted that when a Bloomberg small school was opened, they were given the extra support for the school to succeed. The new school was allowed to exclude "high need students", like English Language Learners and Special Education students for the first two years and were given extra resources to run smaller class sizes, The result, not surprisingly, was the first two graduating classes showed a vast academic improvement, when compared to the closed large comprehensive school it replaced. Of course now many of these Bloomberg small schools have been in existence a decade and the latest statistics show that without the extra resources, small class sizes, and the elimination of the student exclusion policy, the schools showed little improvement over the large comprehensive schools they replaced, except for their bogus graduation rate. 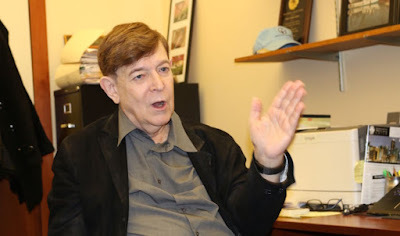 If all of Mr. Nadelstern's proposals in the Charkbeat article became policy, the New York City Public School system would see a mass exodus of middle class and academically proficient students to the suburbs and private or parochial schools. Thank goodness Mr. Nadelstern is no longer part of the DOE and cannot implement his dangerous reformy ideas on the school system.